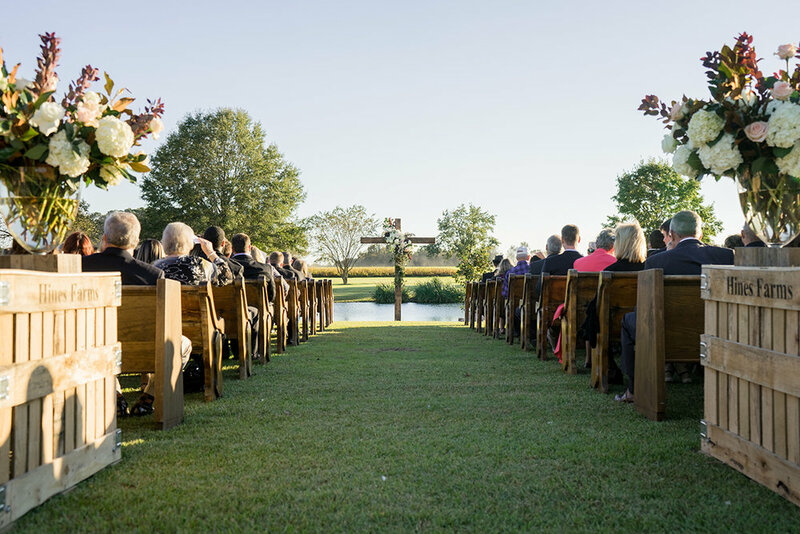 Caroline and Jared were married on her family's tobacco farm, where Jared had proposed just a year earlier. 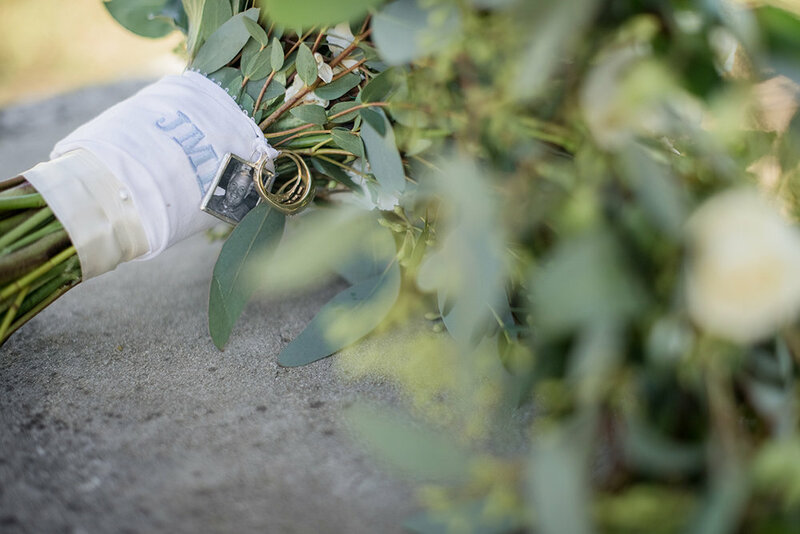 Farm weddings have a special place in our hearts, having been in the families for decades and rooted in homestead traditions. 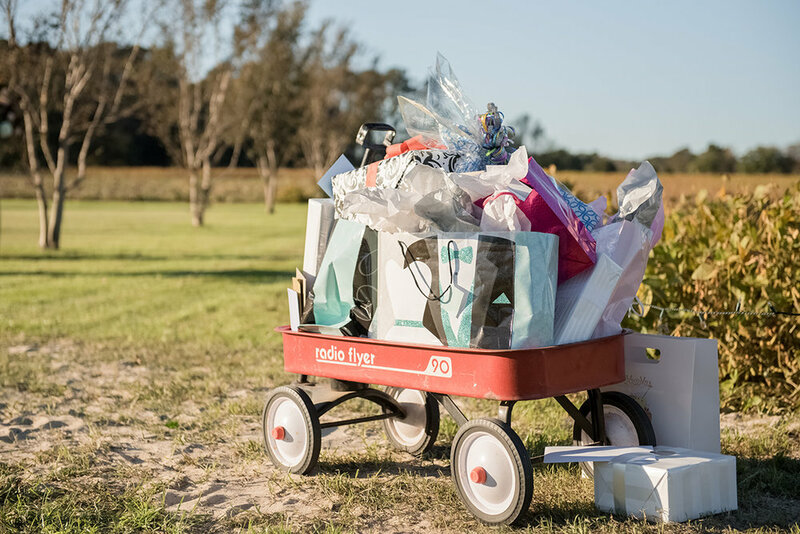 Caroline & Jared wanted to host a gracious celebration (and one heck of a party!) where family and friends could feel relaxed and at home. 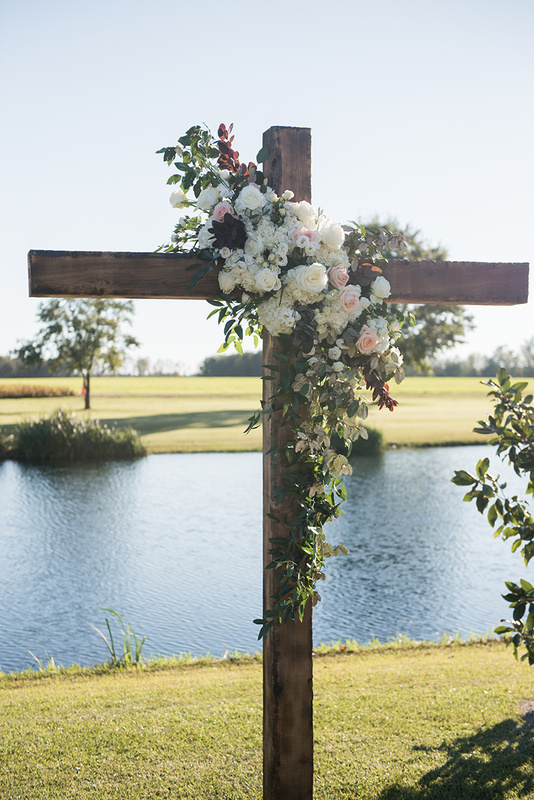 Their wedding incorporated new and old family traditions, elegant florals, and rustic touches from the farm, creating an authentic and enchanting night. We are delighted to have Caroline & Jared's wedding currently featured in the Southern Bride & Groom 2018 Magazine! 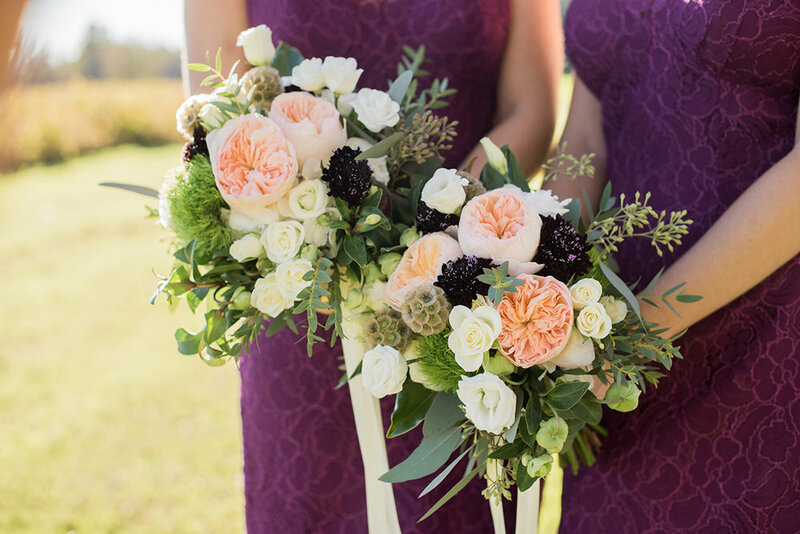 See more details of this beautiful fall wedding below! 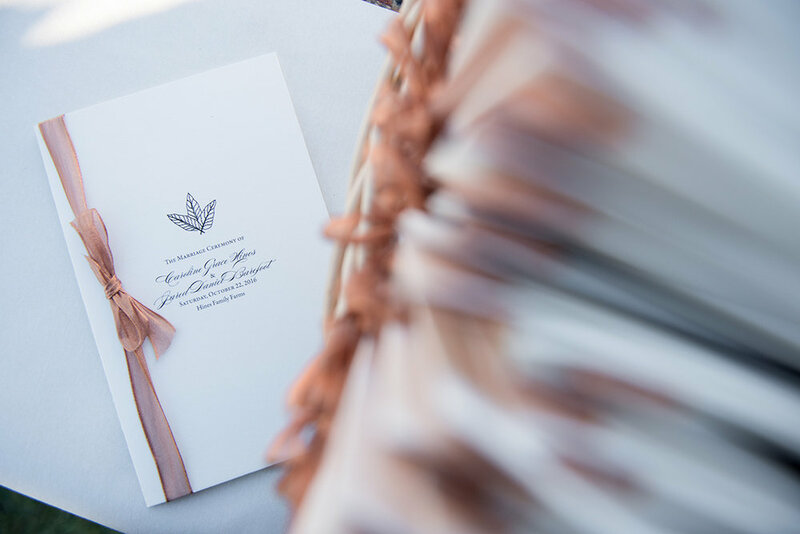 Caroline's custom tobacco leaf emblem was incorporated throughout the event. A view of the tent while getting ready earlier in the day. Family mementos were attached to Caroline's bouquet. A modern take on a fall palette with peach, burgundy, and dusty greens. Sweet potato bins from the farm marked the beginning of the aisle and created the backdrop for the band in the reception tent. 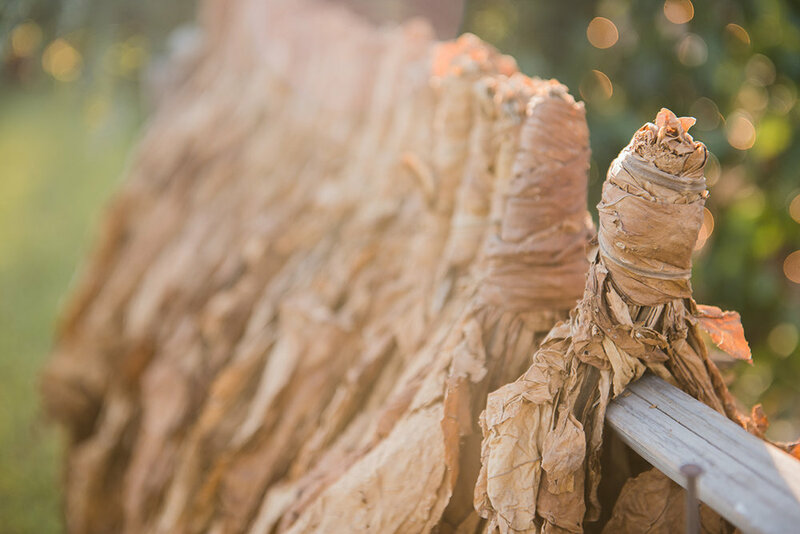 Tobacco sticks gave a warm and beautifully fragrant welcome as guests entered the giant clear top tent. 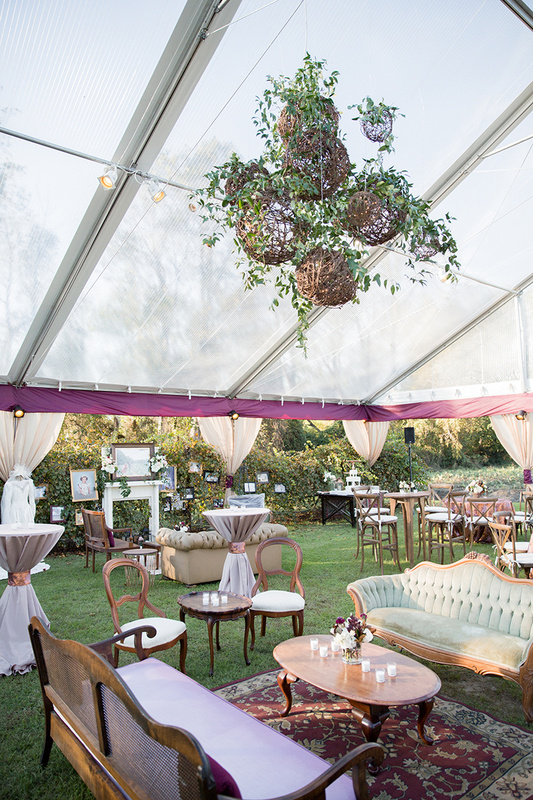 The wild vines around the entrance mimicked the grape vine wall that made up one entire side of the tent. This is the spot where everyone ends up late night - love a wedding lounge! A wall of family photos around faux fireplace created an outdoor living space to sit and enjoy memories of the family. Copper details and tassels around the space added a beautiful modern touch. This copper bar was a beauty! 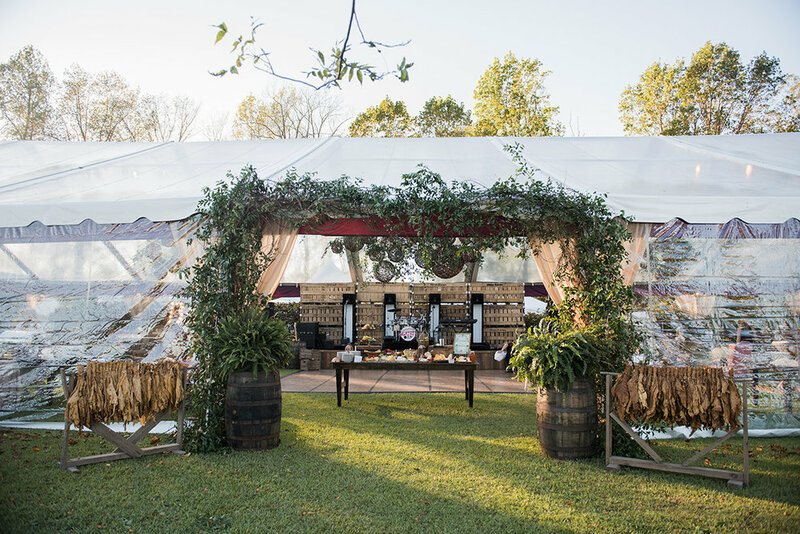 We used a clear top tent to showcase the nature around the farm and create an open air feel. 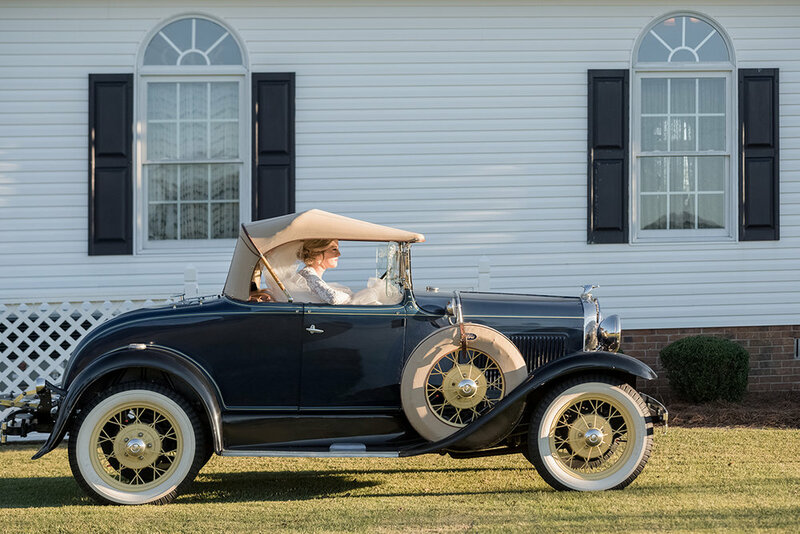 Guests were free to roam between farm table and lounge areas, as though they were at a family gathering in the home. Everyone had a space where they felt comfortable, but for most people, that was the dance floor under a custom 15 foot wide grapevine ball chandelier! 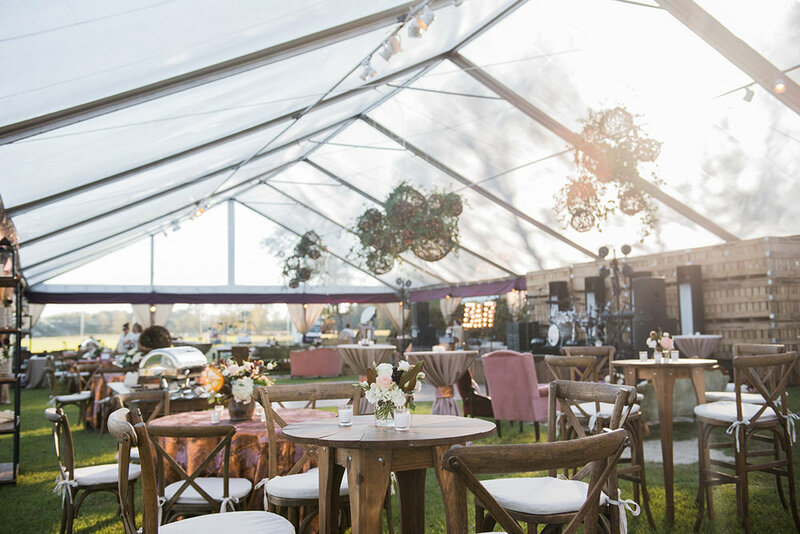 Caroline and Jared had a quiet moment to eat at their own private boho lounge on the lawn, under a magical pecan tree filled with hanging candles. Each guest released a paper lantern with a wish for the happy couple into the pond behind the ceremony site.